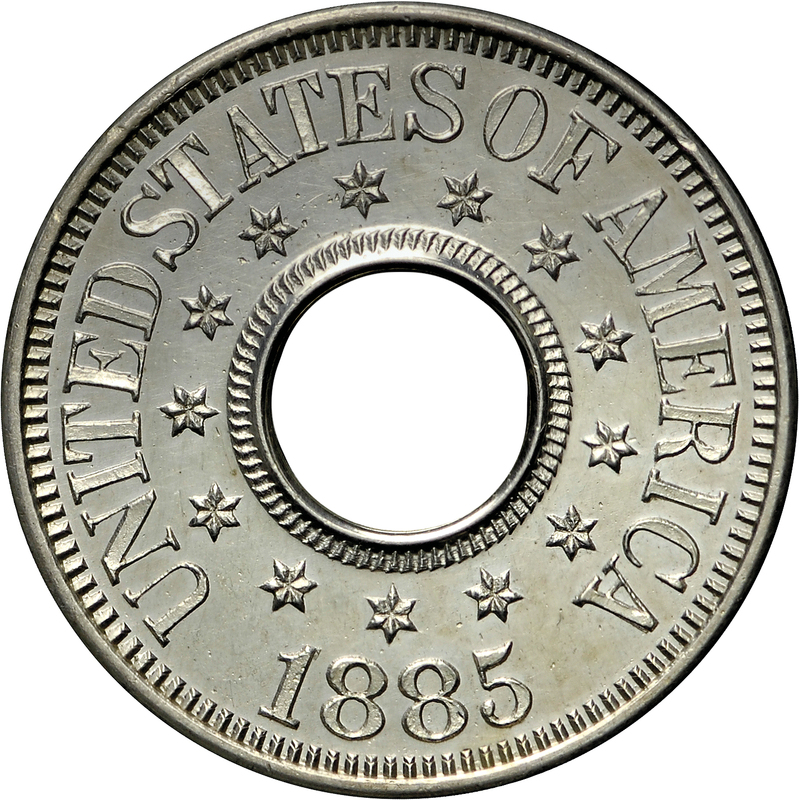 This piece is a modified example of Eastman Johnson’s pattern issue, with a raised and ornamented border around the perforation. 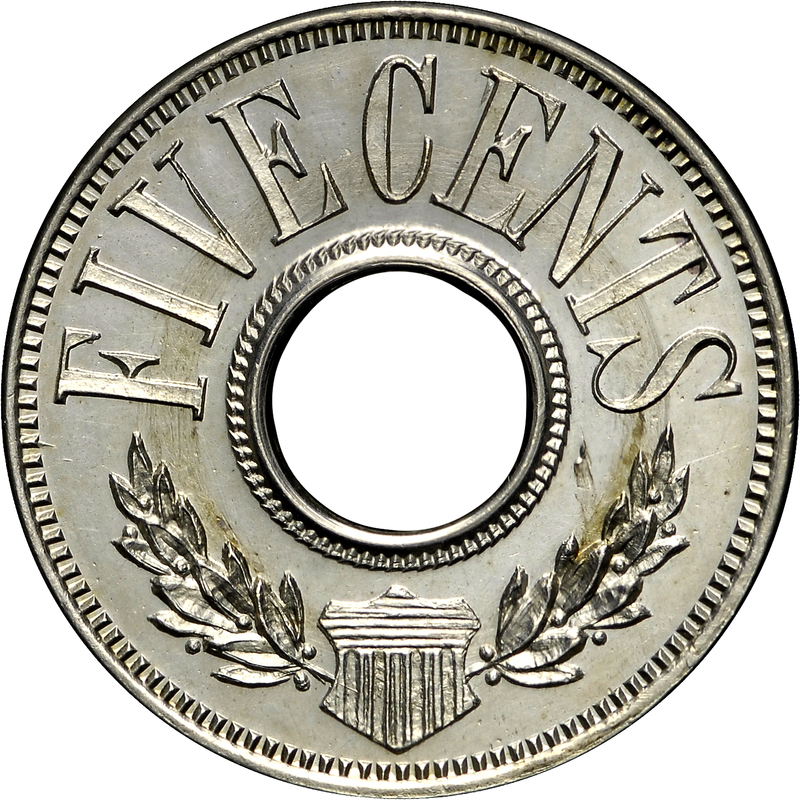 This is possibly the only existing product of the United States Mint to have two separate and distinct borders, and is a lovely example of unusual pattern issue. 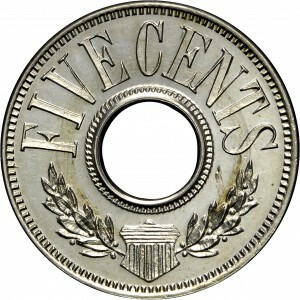 Since completion of the half dime series in 1873, no silver coins of this denomination had been reported. From New Netherlands sale of June 1970, Lot 100. 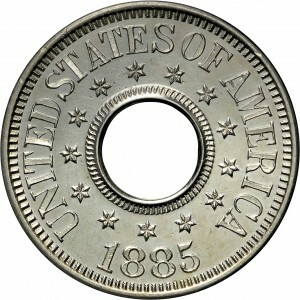 Annular design with circular central hole surrounded by 13 stars with UNITED STATES OF AMERICA above and date below.